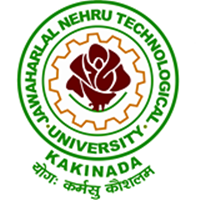 JNTUK All certificates will be issued with Photo & Aadhar Number (Marks Memos / Grade Cards / PC / CMM / OD). So, Aadhaar card compulsory for JNTUK End Examinations from now on. Sub: Marks Memos/grade cards, all certificates with photo and Aadhar Number-Reg. All the Principals of all Affiliated Colleges are here by informed that all Semester Marks memos/ Grade cards/ Provisional Certificates, Original Degree certificates, etc., will be issued with student’s photo graph and Aadhar Number. It is further informed that the candidate will be issued Provisional Certificate (PC) and Original Degree (OD) certificate with the same Photo graph and the same Aadhar Number; which are there on the final semester Hall Ticket only. Hence all the Principals are here by informed that photos and Aadhar Numbers of the students are required to be uploaded while registering for the Semester End Examinations without any deviation as and when notified. I am an international student from Aditya Engineering college. The Original degree application is requesting for Aaadhar No , and I don’t have a Aaadhar card . What should I do ? Sir i already Applied for OD on 22nd NOVEMBER 2017( I belongs to 2013 -2017 batch) @ that time there is no AADHAAR uploading option and my Application was successfully submitted..Now should we do anything? Already i got my PC,CMM. We have given our AADHAAR & Photo details once in our college when we werein 3-2.